Bank of England - £180,000 in 1994 would be £351,704.49 in 2018, Inflation averaged 2.8% a year. Chatting with one of the GWR folks this morning, retconning is that work at Dilton Marsh recently probably exceeded half a million. Even so, it's a lot cheaper than the Portway station, which is of a much simpler form. Does the Portway bill include any resignalling? No.It is on a single track section between Clifton Down and Avonmouth signals. He who laughs last hasn't got all the facts. There has been some delay in Bristol City Council determining the planning application whilst some follow up ecological issues were addressed. All outstanding issues have now been addressed and we are expecting to get an update on determination by the end of this week. The current cost estimate for the scheme includes provision for some minor signalling works connected to the operation of the level crossing just north of the site on West Town Road. This is because the sighting of the current signal which operates the crossing for trains heading towards Avonmouth would mean that additional barrier downtime at the level crossing would be incurred whilst trains stopped at the new station. 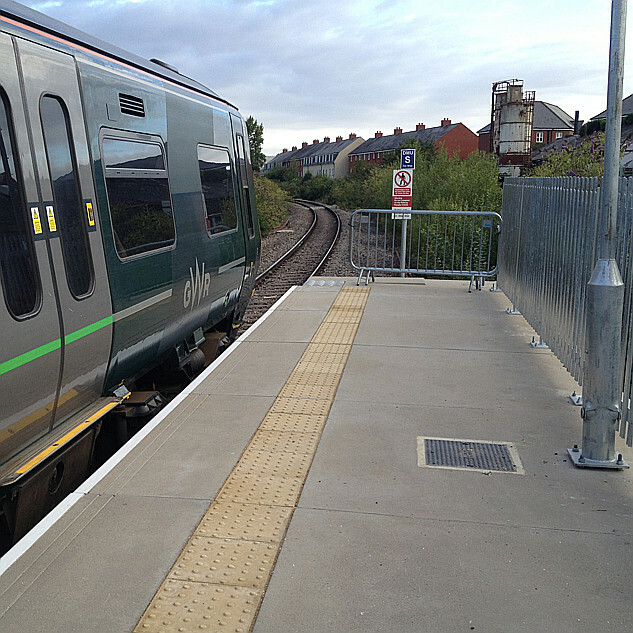 This signal mitigation will mean that the level crossing can be operated once the train is ready to leave the new station thereby removing any potential for additional delay. Also posted here due to ongoing relevant thread. johnneyw, my apologies for the incorrect information. There was no issue last time I looked, not long ago. Hopefully in this case has the normal meaning.